June is Fireworks Eye Safety & Cataracts Awareness Month, so we thought we’d take a few minutes to give you some important information regarding your eye safety, not only in relation to fireworks, but at work, home, and play as well. At ModernEyes Eyecare + Eyewear, we have many glasses options to keep your eyes safe. We carry a frame line called Youth Force by Wiley X. 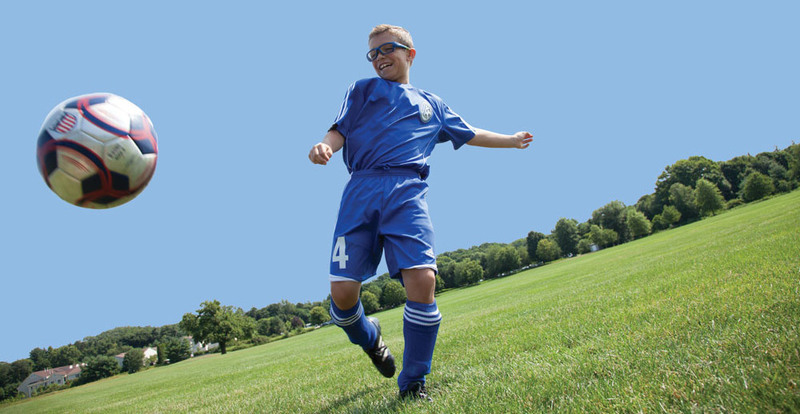 These glasses are specifically designed to withstand the impacts received during sports, both contact and non-contact. The frames temples tips are rubber for a snug fit and a soft rubber nosebridge to keep the frame comfortable. Youth Force Frames also can be worn as true sports goggle as well as with an adjustable strap to hold the frame on. All of the Youth Force frames can hold prescription lenses, and all lenses are shatterproof with 100% UVA/UVB protection, as well as scratch resistant. There are several frame styles and sizes and they come in a variety of sweet colors. Check them out by clicking here or stopping in to try them on. WorkSight is also a line brought to us by Wiley X. WorkSight frames are styled for both men and women and meet most occupational demands, but can also be used for hobbies, such as wood working, or to keep your eyes safe while lighting fireworks for Independence Day. These frames meet all ANSI and Federal OSHA standards for safety, and just like the Youth Force line, have 100% UVA/UVB protection. The unique part of these frames is that they all look like a normal pair of glasses and come with removable side shields. Unlike many safety glasses, the side shields are simple to insert and remove, so you can easily switch your glasses from work mode to leisure mode with little effort. Most safety glasses are basic clear frames that have no style and everyone knows you’re wearing safety glasses. Not with the WorkSight frames. Check out the available styles, sizes and colors by clicking here or stopping in to try some on. Can you believe how nice they look? Wiley X’s main frame line is a mix of specialty sunglasses. These all have impact resistant, polarized glasses in a variety of lens colors and coatings offered. The lenses range from basic amber or grey lenses, to mirror coats, to specialized lenses for shooting. The frames come in your typical sporty wrap style, which is great for many prescriptions. Have a really strong or tough prescription? Some of the Wiley X frames also have an insert that allows you to have the style of a wrapped frame, while also allowing your prescription to be in the lenses without excessive thickness. Other Wiley X frames have Climate Control features that consist of a removable facial cavity seal that protects your eyes from fine dust and pollen particles and peripheral light. Stop in to try some on for yourself, or check out the styles online before you come in by clicking here. Ballistic and Tactical Uses: Wiley X also has eye wear solutions for ballistic and tactical needs, though many patients may not require this feature. However, if you need something specific, we can definitely look into ordering it for you! According to Prevent Blindness America, more than 2,000 American workers suffer an eye injury every day, with nearly 1 million having lost some of their sight due to an eye injury. Wearing proper safety glasses is the easiest and most effective way to reduce eye injuries. It is estimated that 90% of workplace eye injuries could be avoided with correct safety eyewear use, however, based on a Prevent Blindness America survey, almost 3/5 people who have suffered from an eye injury were not wearing any form of eye protection. For more information on eye safety at work, visit Prevent Blindness America’s website. In 2014, fireworks were involved in over 10,000 injuries treated in emergency rooms in the United States alone, with 7,000 of those falling between June 20 and July 20. Approximately 19% of the reported injuries were to the eyes. Many people worry primarily about bottle rockets causing injuries, but the sparklers we often let our children play with are the biggest culprit across all age groups, but particularly for those under age 5. Another surprising fact is that the person lighting the firework is less likely to be injured than those observing. These facts and more information can be found at Prevent Blindness America’s website. Should you have a firework related eye injury, call 911 or go to the Emergency Room. You will likely be advised to follow-up with your optometrist for continued care. If you are a ModernEyes patient and the injury is minor, feel free to call the office and request the on-call optometrist and we will get back to you with further instructions.